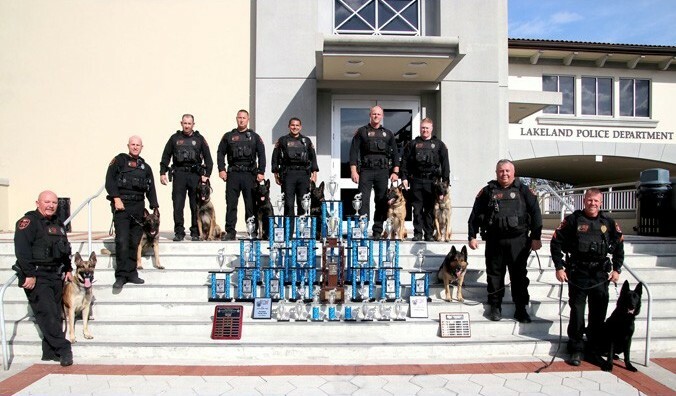 Lakeland Police Chief Larry Giddens suspended the department’s K-9 unit in its entirety after an internal investigation revealed they were excessively speeding while on a trip. Chief Giddens said that witnesses called and reported that they saw multiple officers speeding on the highway. Dash cam video revealed that the officers sped to and from a competition that took place in Santa Rosa this past weekend. Santa Rosa is approximately seven hours from Lakeland. According to Lakeland PD, the dash cams start to record when the vehicle reaches 75 mph. Chief Giddens expressed concern because at least five of the officers tampered with their dash cams. He said the officers filled up the memory before the trip started. Chief Giddens said the officers have taken responsibility for their actions, but cannot take back the embarrassment they have placed on the agency or their colleagues. “As law enforcement officers we must always respect the amount of the trust that the public places in us and always lead by example,” said Chief Giddens. The officers reached speed in excess of 100 mph, and some were tailgating other drivers.